There where 14 GT4 s build . Do we know all the 14 cars ? How many Gt4's where unknown ? What is a GT4? Do you mean a Group 4, aka, Gp4? Peter, to clarify the history of factory-built racing Panteras, there were eight (8) GR-4s factory-built for that class of FIA pro-racing. Almost simultaneously, DeTomaso built six (6) more Panteras identical to the first batch that could, with a little work be street driven- hence the different designation of GT-4. DeTomaso underestimated his market; all the GT-4s were immediately used in pro GR-4 racing. All 14 race model cars are designated 'Type 874-A' rather than Type 874. Ferrari did the same type-number mod to some of their racing Daytonas, as did Alfa Romeo. Finally, there seems to have been two (2) GR-4 Stradale Panteras factory-built to order in 1975-76, apparently for street driving since the group 4 racing class was obsoleted by the FIA. Almost nothing beyond the serial numbers (#6609 and #9041) is known of these two, even the details of their construction. 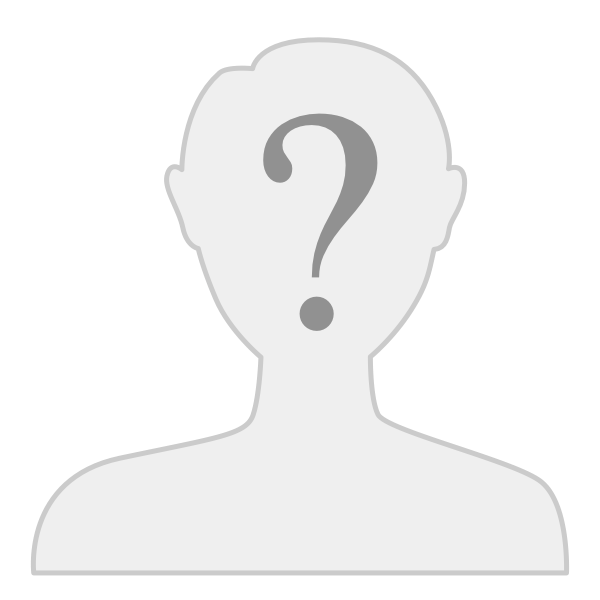 One reportedly went to Saudi Arabia & the other to Japan; both totally disappeared. No known photos exist. There are a handful of clones still around; they were either private shop conversions of street cars or in a couple of cases, the factory modified Gr-3 street Panteras to Gr-4 specs, but none (repeat, NONE) use the special GR4/GT-4 chassis parts & construction that define the 14 (maybe 16) Type 874-A pure-racing machines. I published an illustrated article of 'Guitarmans' GT-4 with all its factory construction & chassis details shown, a couple of years ago in the monthly POCA Newsletter. If you join POCA, archived copies are available for instant download, as well as many, many other details on all things DeTomaso. 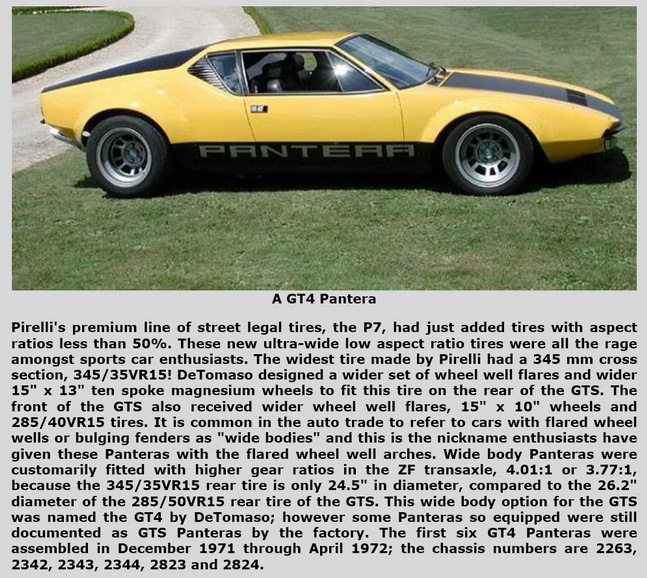 The first Group 4 Pantera #2263 was sold to De Tomaso Spain. It was crashed at Monza in 1972. It was dismantled at sat behind the factory in a junk pile until about 1980. Black & white pictures of it sitting in that junk pile at the factory have circulated for decades. The factory is quoted to have claimed the car was eventually discarded (by Olczyk in his book “De Tomaso Macchine da Corsa”). However, there is evidence the car was rebuilt as a GT5 and given a new VIN number, i.e. chassis #8263. People fail to notice that in the picture of #2263 sitting in the junk pile there is what appears to be a second Group 4 Pantera sitting next to it! The questions are, which Group 4 Pantera is the second one in the picture and what happened to it? That second car may have been repaired and re-numbered #4829. Amongst the entire lot of Group 4 cars (there were 14 built) there are two for which little information is available, chassis #2859 and #2861. I have bought a pantera in a terrible condition. The chassis number is : 4829 BUT only on the paper. You can not see the chassisnumber ánymore. Only a few letters. 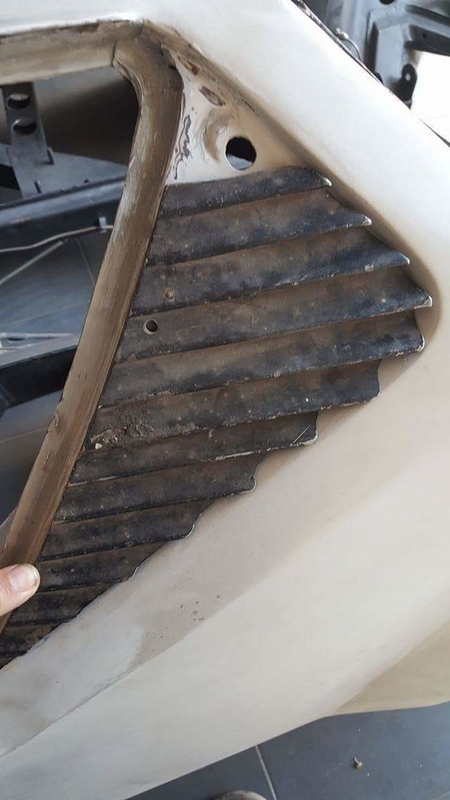 when I scratch with a srewdriver on the metal under the dashboard a red color comes out. When you scratch the first color is white, then comes a filler, than red. So the first color from this chassis is red. Raffaele from Italy has the original Invoice from this car and it was sold to Italy Import on 16 april 1973 with the color BIANCO - white! And 10 inch Campies. There is nothing more on this Invoice. Only Pantera , bianco and 10 inch wheels. The first date it was on Germany streets was 24 may 1975 ! So it was build 1972 but 1975 first time on the street. 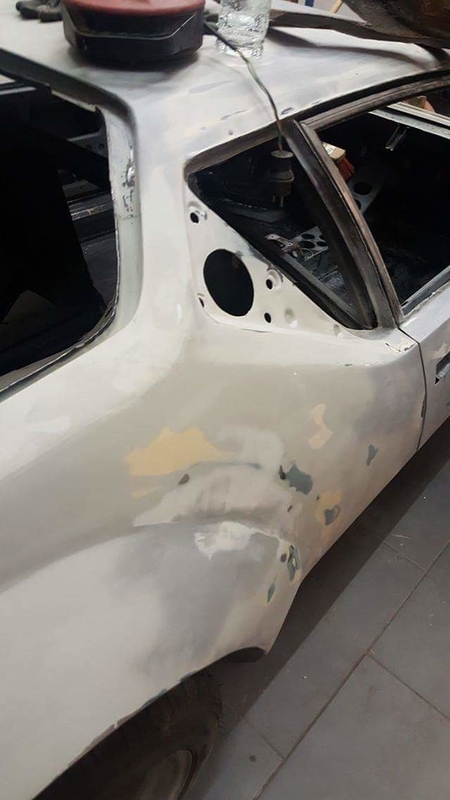 I have a hole on the right side for the fuel tank, I have leather seats, leather dashboard, and a left side panel without a hole for the filler neck. On my papers I can see THPNMS but on the car it is THPNMA maybe the THPN is not right, but there is a MA not an MS. I will check this once again tomorow. Also I have weldet metal fender flares on the car. At first I want to cut them and bought me some new from Hall Pantera. So I start to cut the left side and try to fit them on the car. But the Hall flares do not fit. The hole left and right side is a little bit wider than normal so it was to much work to make them fit. I decide to weld back the left original flare on the rear. The original flares had something like dust plates in the front and on the rear also made from Metal and this looked verry ugly. I cutted them and make some new little "down corners " on the fender flares. Also the battery is a little bit deeper than original. I bought this pantera without any suspension and without brakes. There comes 2 carbs from Webber with it, but now manifold. They are from 1972 a Webber specialist told me. The outside door skin is new. There was also a roll cage inside, but I have to build a new one. It was also missing , when I bought the pantera projekt. I have a plastic rear window. Raffaele from Italy told me, that it is possible that I have a chrashed race car, which was rebuild in the factory and sold with 10 inch wheels to the company Italy Import. Maybe the car was done for car shows . Some cars where painted and rebuild outside the detomaso factory at this time. So I search for more pictures from those cars at this time. My car have a special area, wich I would like to compare with the older photos from this time. Also some older workers from DeTomaso say that there was a prototype from a GT4. Maybe I will cut the Vin Plate and go to X-ray it. You might consider talking with local Law Enforcement and see if they have the acid and "wand" to raise markings stamped in steel. One aspect of your car sticks-out ... the welded fender flares. The original group 4 flares were installed with rivets. The plexi glass rear window and the right hand filler sure look like racing stuff however. I also noticed in the two pictures you've provided there are lightening holds cut into the chassis. If they were cut by the factory they should be stamped, with rounded edges, and they should be painted over with the original primer. If they were cut at a later date, they would be cut with a hole saw (sharp edges) and they will be unpainted or painted with newer paint. Looking at the number, 4829 falls beyond the transition to the Pantera L coach, in America it would be classified as a 1972-1/2 model. Does the body have the "L" style turn signal pods built into the front of the body? If not, that would indicate it is an earlier "Pre-L" style coach. Joe's suggestion to have the VIN on the footbox acid etched sounds like a good idea.